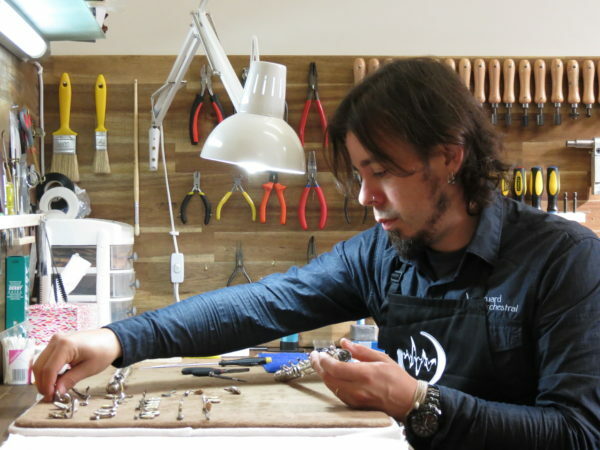 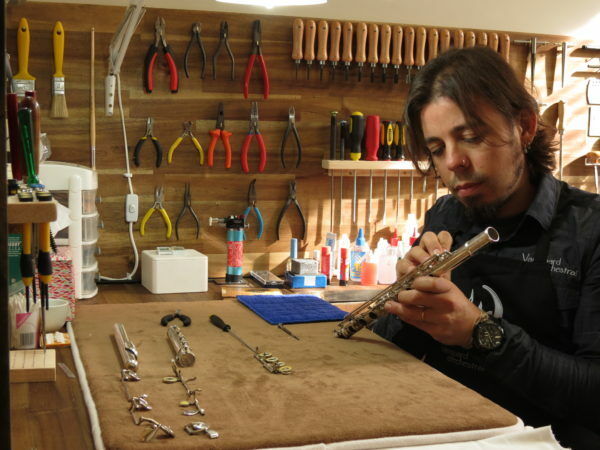 This shows a Mateki flute repad on the bench in Auckland after the hard prep work and ready to begin the padding and putting the instrument back together. 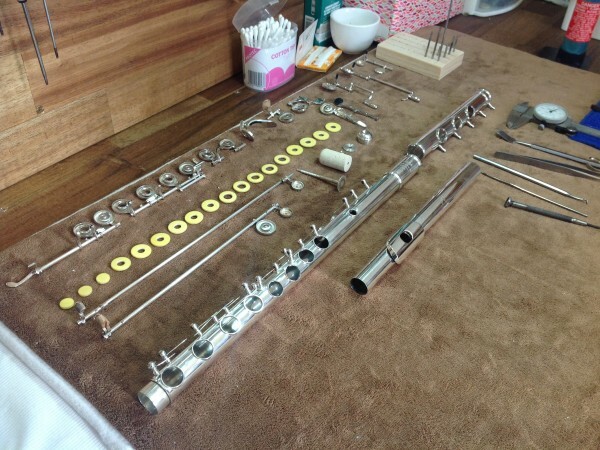 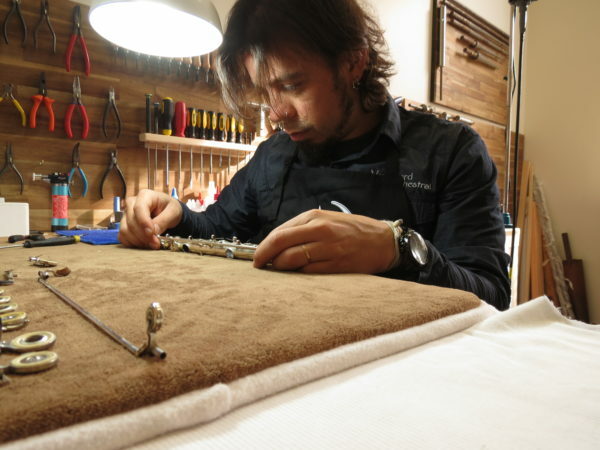 This flute is having a S2 Straubinger repad. 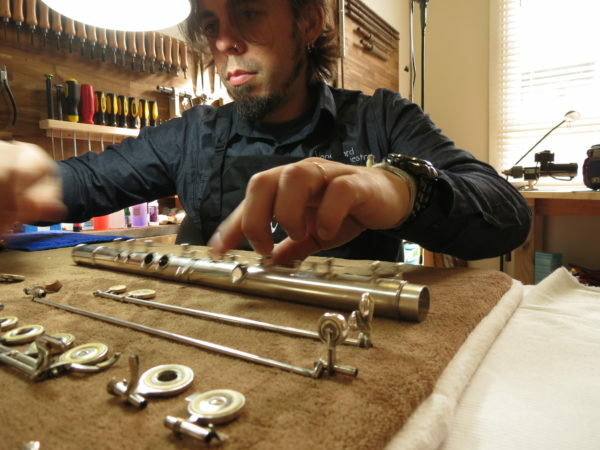 These pads significantly upgrade the sound of a flute.